Everybody else is doing it, I guess I will too. 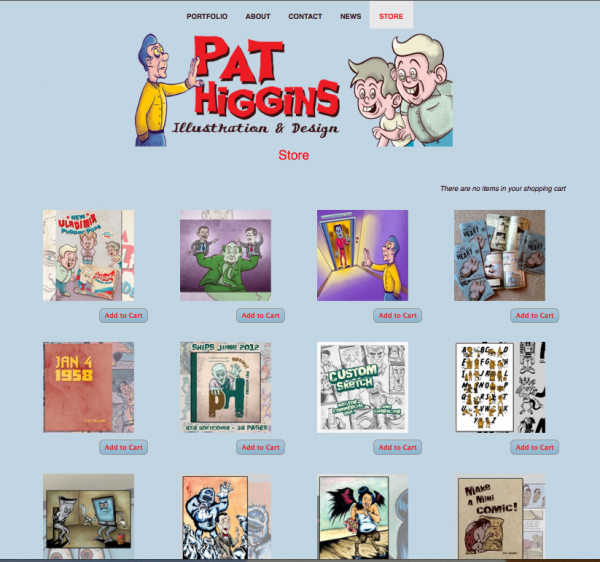 It’s the Pat Higgins Cyber Monday/Holiday Sale! For the next two weeks (Nov. 26, 2012 – Dec. 10, 2012) any orders from my website will come with a FREE 5″x7″ ink/brush sketch on bristol board. That includes prints, original art and comics! 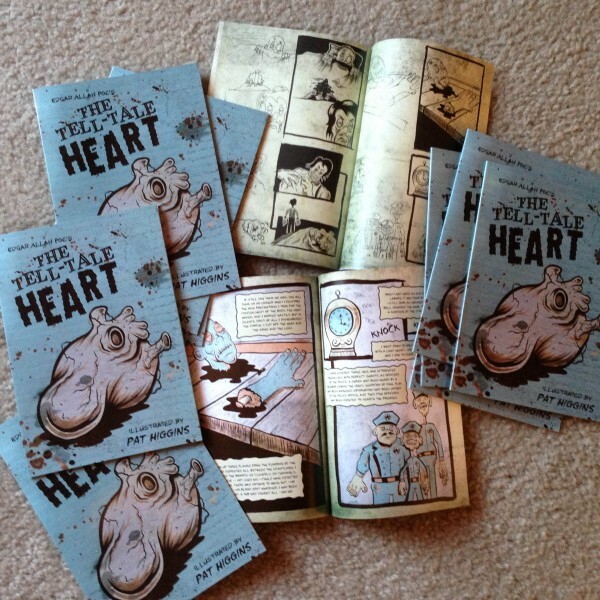 Also, I just got more copies of the Special Edition Tell-Tale Heart in stock. Same story/art but with a couple extra pages of sketches and process stuff. Also, for the next two weeks you can get the Tell-Tale Heart Special Edition plus a page of original art from the book (ink and wash on bristol, 8.5″ x11″) for only $25.